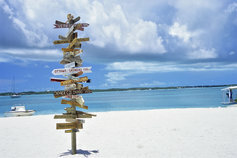 The Government has many rules for non-residents that want to do business in The Bahamas. The OECD has published its latest proposals in relation to its Base Erosion and Profit Shifting (BEPS) 15 point Action Plan. Our tax advisory professionals have a deep understanding of tax governance, specialist skills and extensive industry knowledge. Our tax team helps clients realize planning opportunities; meet their compliance responsibilities and communicate this to the markets and regulators. Our wealth of knowledge can be invaluable from the onset, whether your business transaction has direct or indirect Bahamas tax consequences.